Dr. Alexander was in the Oregon Territory by 7 March 1853, when he was appointed clerk of the commissioners who were to organize the government of the newly formed (1852) Jackson County, OR. On 4 April 1853, the first meeting of the commissioners, the first order of business was to accept the resignation of Dr. Alexander as clerk, and to appoint a new clerk. Finally, I located the story. There was a race meeting in Jacksonville, in Jackson County, in early July, 1855, and Dr. Alexander raced his horses in this meet. Another owner who had horses running in the races was a man named Simeon “Sim” Oldham. Oldham was from Yreka, in northern California, and was a deadly shot. Miller, Joaquin. “Tales of bad men and Frontiersmen. I. some famous gun-fighters.” Pacific Monthly, Jan. 1908, v.19, no.1, p.1-10. “More Doctors.” Richmond Enquirer 13 Apr 1847, p.1. “Sim Oldham killed by Jos. Rolls at Ruby City, Owyhee Mines [Idaho], on the 12th of March, 1864.” Boise News, March 26, 1864, p.2. Society of the Alumni of the Medical Department. Catalogue of the Alumni of the Medical Department of the University of Pennsylvania, 1765-1877. Philadelphia, Collins, Printer, 1877, p.2. “Thou Shalt Not Kill,” Evening Capital News, Boise, Idaho, December 7, 1907, p. 10. Watson, C. B. South Oregon History, up to 1853. (Revised), 1924, chapters 5 & 8. Dr. Thomas Hamlett Averett (1800-1855) and his wife, Martha Coleman Wootton (1803-1880) settled in Halifax County, Virginia. Dr. Averett was a practicing physician who also served in the Virginia State Senate and as a Representative in the 31st and 32nd U.S. Congresses (1820-1823). 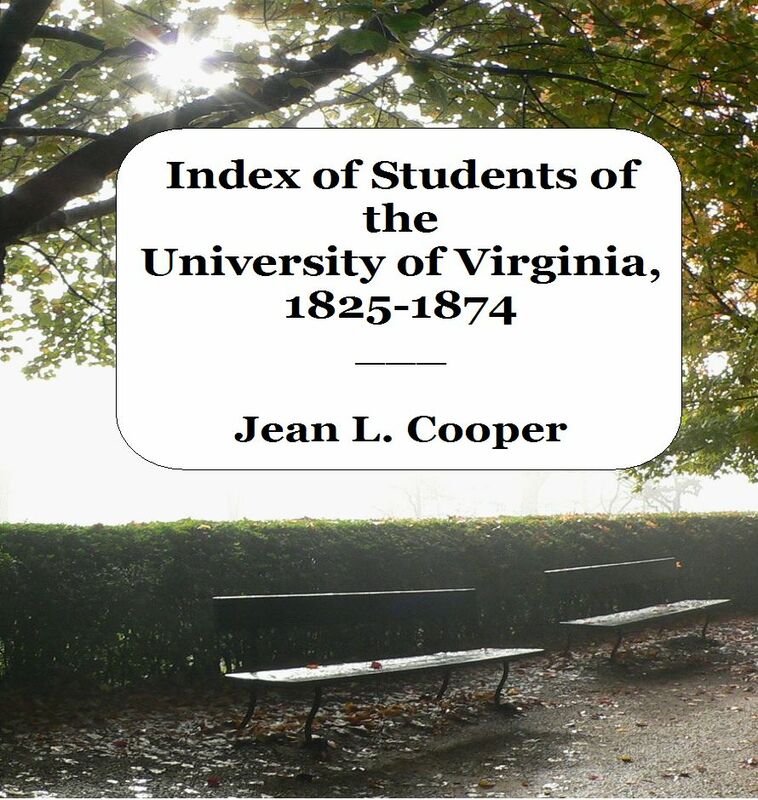 Among their ten children, Dr. Averett and his wife had three sons who went to the University of Virginia: Edmund Berkeley Averett, Joseph James Averett, and William Wootton Averett. Edmund Berkeley Averett (18 Jan. 1823-1858) attended the University in session 20 (1843-1844) and studied Chemistry, Medicine, and Anatomy & Surgery. He is listed as a physician in the 1850 U. S. Census for Halifax County. Dr. Edmund B. Averett was mentioned in his father’s will: “Clause 2nd. I [Thomas H. Averett] appoint [James Young] trustee for my son Dr. Edmund Berkeley Averett, it being my will that his share in my estate be held in trust to be used and enjoyed at the direction of the said trustee so that the principal shall not be disposed of during the lifetime of my said son, while he shall enjoy income or profit therefore at the discretion of his trusteee as aforesaid.” This leads one to surmise that Dr. Edmund B. Averett was a spendthrift, and that his father wanted to protect his son’s inheritance from being frittered away. Joseph James Averett (24 Dec. 1827-23 Feb. 1898) attended the University in sessions 28-29 (1851-1853), during which he studied Ancient Languages, Mathematics, and Chemistry. He became head of Halifax Academy in Halifax, VA, after his father’s death in 1855. Joseph married Rose Celestia [surname unknown] (b. ca. 1834); their children were Emma W. Averett (1856-1909), and Edmund Berkeley Averett (d. young). The family lived at Sedge Hill in Halifax County, VA. In 1862, Joseph Averett enlisted as a private in Company A (Holland’s Company) of the 18th Virginia Infantry Regiment, C.S.A. He was wounded 27 Jul. 1862 at the battle of Gaines Mill, a shoulder wound that caused “atrophy of the muscles and entire inability to raise or otherwise use the arm.” (Certificate of Disability for Discharge, 10 Oct. 1862) The Certificate of Disability also gives a description of J. J. Averett: 5 feet, 11 inches tall, fair complexion, blue eyes, and light hair. “11th Regiment VA Infantry.” Richmond (VA) Enquirer, Volume 61, Number 80, 6 May 1864, p. 1. Cook, Kenneth H. “Physician, Mason, legislator.” News and Record (South Boston, VA). 6 Oct. 1977. Halifax County (Va.) Chancery Causes, 1753-1913. “Martha C. Averett etc. vs James Young, Exr. of Thomas H. Averett etc. 1857-005” Local Government Records Collection, Halifax County Court Records. The Library of Virginia, Richmond, Virginia. J. C. Holst & Co., Undertakers, “Report of the Health Officer (dated 5 Oct. 1867).” Memphis Daily Appeal (Memphis, Tenn.) 6 Oct. 1867, p. 3. “Post Office Affairs.” Daily Dispatch (Richmond, VA), 30 March 1859, p. 1. [Untitled.] Daily Dispatch (Richmond, VA), 5 Oct. 1867, p. 3. “Virginia, Deaths and Burials, 1853-1912,” index, FamilySearch (https://familysearch.org/pal:/MM9.1.1/XR9M-MVR : accessed 07 Nov 2013), J.J. Averett in entry for Emma Averett, 1856. After his graduation from Yale, Samuel Allison was admitted to the bar, and returned to Tennessee to practice law in Nashville. During his brief law career, Allison became well known and respected in Nashville. In 1854, he was a delegate to the Great Southern Convention (a convention on business issues) in Charleston, SC. “He was a Democrat in politics, and the unsuccessful opponent against the Hon. Felix K. Zollicoffer in one candidacy for Congress.” (Jubilee Anniversary Report of the Class of 1847, Yale University, 1847-1897, p. 364) The city was shocked at the news of his death from tuberculosis at age 31. He had never married. Allison is buried in the Mount Olivet Cemetery in Nashville, TN. “Article IX. Great Southern Convention in Charleston.” DeBow’s Review, v. 16, new series, v. 2. New Orleans, 1854, p.632-633. Catalogue of the Officers and Graduates of Yale University in New Haven, Connecticut, 1701-1901. New Haven, Tuttle, Morehouse & Taylor Co., 1901, p. 99, 302. Chapin, Henry Barton, editor. The Jubilee Anniversary Report of the Class of 1847, Yale University, 1847-1897. New York, 1897, p. 11, 95-96, 364. “Died [Samuel P. Allison],” Nashville Patriot (TN), 2 Apr. 1858, p. 3. Ogilvie Kith and Kin, v. 25. Benjamin Allen married first Monnie Margaret “Mattie” Ross (1842-1862) on 12 Dec. 1861. The couple had one daughter, Monnie Mary Allen (1862-1875). Between 1862 and 1870, Allen married secondly Mary M. “Mattie” Lawler (1848-1915). He and his second wife had 6 children, Walter Payne, Laura, Benjamin, Blanch, George Marion, and Albert Earl Allen. According to Sparks, the book History of Kaufman County, Texas, vol. 2, states that Benjamin Allen taught at the high school in Mt. Enterprise from 1858-1861. However, according to the U.Va. Matriculation Books, he was in Charlottesville, Virginia, at the University of Virginia for part of that time. Allen, Benjamin tombstones, Allen City Cemetery in Athens, Henderson County, Texas and Oakland Memorial Park, Terrell, Kaufman County, TX. Findagrave.com. [Benjamin Allen obituary.] Terrell Times Star (Texas), 20 Dec 1895. Kaufman County Historical Commission, Kaufman, TX. History of Kaufman County, Texas, vol. 2. The Commission, 1978.